You will learn the basic functionality of rhino in therms of modeling, visualisation, programming in grashopper and 3d printing. 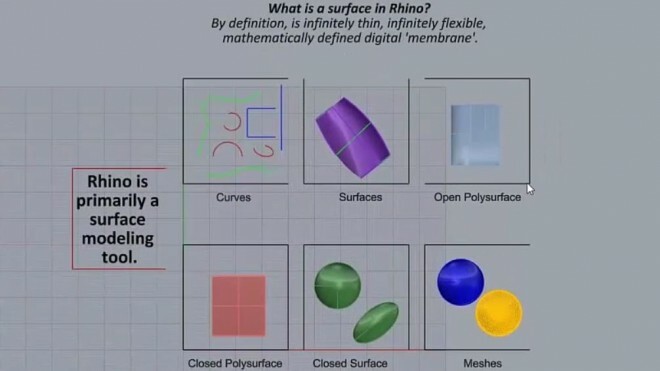 Rhino-surface modeling tool: What is a surface in Rhino? Closed polysurface is also a solid. Closed surfaces (sphere…) can´t be exploded. 3d printing: CMD “BooleanUnion” all geometries to one object + Optimize geometry for printing (cut roof of with line and CMD “Wirecut”) + Export selected as .STL-file.